The Scan has been assured, by reputable sources, that this post is materially wrong on a number of points. The project seems to have been scaled back somewhat but the UC-Holmesglen collaboration is set go, with a number of UC degree courses launching at Holmesglen’s main campus the week beginning 11 February . We have also been told the joint UC-Holmesglen programs have strong pathways elements. As soon as we have further and better particulars, we’ll let you know. The Commonwealth government has rejected the University of Canberra’s plans to partner with Holmesglen Institute of TAFE to offer degree courses in Melbourne. 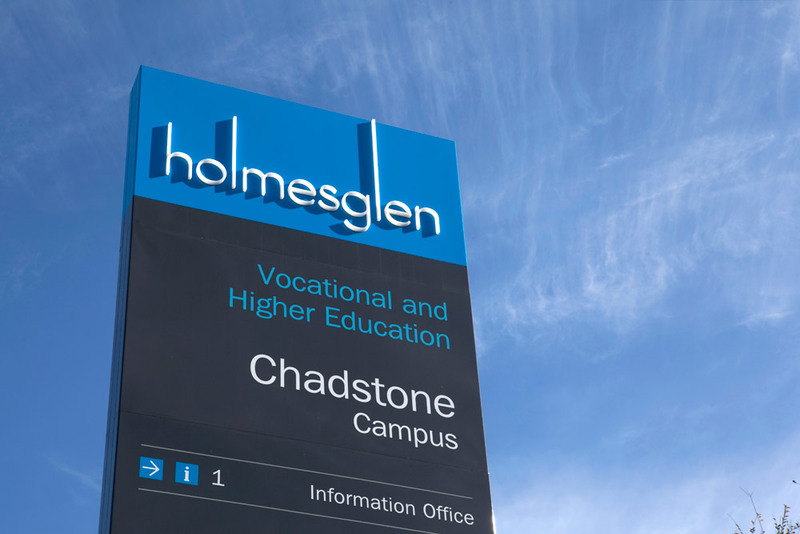 The plan was to establish a UC branch campus at the Holmesglen campus in Melbourne from 2013. Eleven University of Canberra courses were to be offered in Melbourne , to be delivered alongside existing Holmesglen degrees. Holmesglen degrees in hospitality management, fashion, screen production, executive administration and marketing management were to be rebadged as UC degrees, giving Holmesglen access to commonwealth higher education funding., This probably brought the deal undone, as Commonwealth tertiary education minister has said extending Commonwealth funding to non-university is some way off. Apparently Evans was also critical of the Canberra/Holmesglen proposal as there was no TAFE component associated with the degree offering. Holmesglen would have essentially been the provider of the three and four year degree programs auspiced by the University of Canberra, rather than providing a pathway from higher level TAFE qualification to a degree. A spokesperson for the UC said that more than two and a half months ago the government indicated it would not support face-to-face teaching in Melbourne, and that the reasons for this “are really a matter for them”.The spokesperson for the UC confirmed that the government would welcome the opportunity to review a request for 2014 as part of the Compact [federal funding] discussions for 2014-2016.In the meantime the UC is offering some courses in support distance education mode to students in Melbourne pending Compact discussions.The spokesperson said the plan is to take the UC brand into areas where there is unmet demand. “There is a demand in Melbourne for the kind of professional education the University of Canberra offers and for the seamless pathways to university for Holmesglen students.”The university spokesperson said UC has several strategies to increase its student numbers by 50% over five years and “working with tertiary partners is one of our strategies to achieve this”.